How can you expect to capture the website leads of high net worth clients without first capturing their attention? High net worth clients expect remarkable, distinctive packaging when purchasing luxury products and services. You can instantly differentiate yourself from your competition with a stunning, eye-catching website that makes your competition’s site pale in comparison. Isn’t it time to demonstrate your superior marketing savvy? 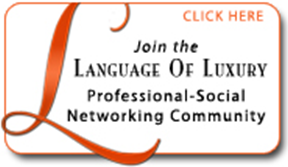 Discover how to attract more high net worth clients with a buzz-worthy luxury website. WATCH THE VIDEO!